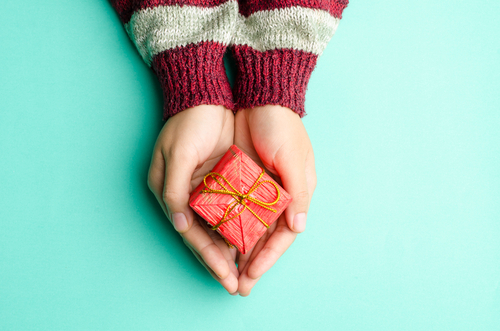 Christmas is the season of goodwill, and as an agency we’ve been reflecting on how we’ve tried to do our bit over the last 12 months to help give a little back in whatever way we can. We’re proud to say we’ve supported a number of charities and good causes throughout the year – and we’ve had some great fun doing it. Back in July, the girls in the office got together (some more reluctantly than others) to take part in the Race for Life Pretty Muddy Run, to raise money for Cancer Research UK. We may have all pretended we hated the mud, but in all honesty we all had great fun and raised over £500 for a fantastic cause. We’ll be dusting off our trainers again next year to do the same. We’re proud supporters of the Ronald McDonald House Charity (RMHC), and the work they do to support families at such a difficult time is incredible. We first learned about RMHC thanks to the national experiential work we do for McDonald’s, and it’s certainly a cause we feel is more than worthy. Many of the team attended the glitzy RMHC gala dinner in London in March (it was a world away from the mud run! ), which is one of the charity’s biggest fundraisers and we continued our support for the charity last month by sponsoring Henry Trickey. Henry, represented the McDonald’s UK Exec team, took part in the Madagascar bike ride, cycling more than 200 miles in five days to raise money for RMHC. You can read a about the excellent work RMHC does here. We’d like to say well done to Henry and the rest of the team! We’re also proudly sponsoring the British Citizen Awards (BCAs) in January 2017. The awards recognise exceptional individuals who work tirelessly and selflessly to make a positive impact on society. We don’t only sponsor this great organisation, but also provide a comprehensive PR service to ensure their medallists’ stories get the public platform they rightly deserve. It’s an honour to be involved with BCA, and we find it truly moving and inspiring hearing all of the medallist’s incredible stories. To finish off the year nicely, the office Christmas tree is up, we’re feeling all warm and fuzzy and we’re getting into the festive spirit this weekend by attending a special Christmas party for children in foster care. We will be going along with one of our talented balloon modellers, who will be creating some fantastic balloon creations for the children to enjoy. It might be a little early for New Year’s resolutions, but we’re aiming for more of the same next year when it comes to giving – only bigger and better.